Yes, these are mainly affiliate links, but more importantly they are links to the companies that make my favorite things. If I don’t personally buy from these companies, they don’t make the list. Plus, while I may get a small bonus if you make a purchase, you score offers too. Bonus! Out of Print make most of the t-shirts I wear, including the correctly colored Ravenclaw When in Doubt shirt. Sorry, that one was a limited edition, but you can get the gray version. And using this link gives you $5 off your first order. I’m often asked about my phone case (and teased for having a pretty pink iPhone). I chose the phone color to match the case. And the case feels like the most vain thing I’ve ever done. It’s me on a case. Well, not really me, but me in spirit. 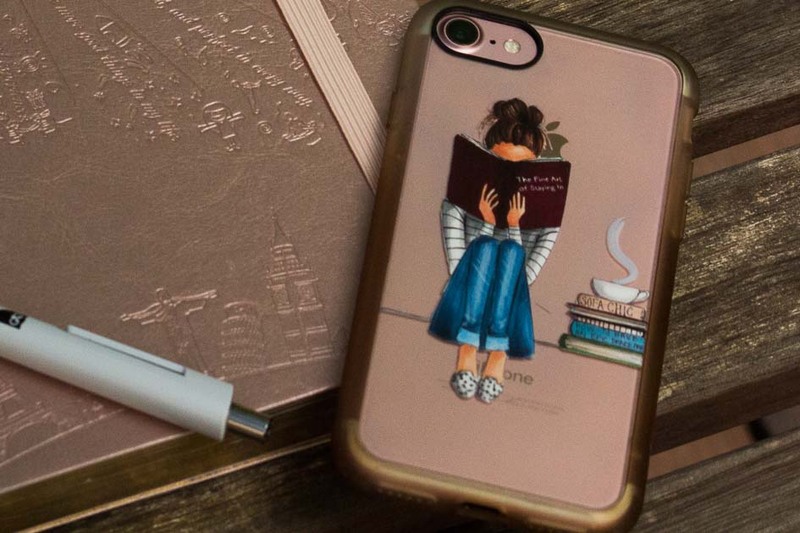 Use this link for $10 off the prettiest case you’ve had. They have Apple watch bands and other cases too. 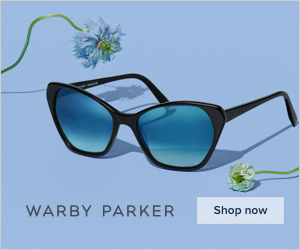 All three pairs of my glasses come from Warby Parker. It’s an amazing business model with stores and try at home. Personally, I love how affordable they are ($99 all inclusive), but they also have Buy One Give One so for each pair you buy, a pair is given to someone in need. It’s a bit of a silly name, but it’s true: this software helps you To Do (ist). I love the reminders and easy language to set recurring tasks and due dates. ToDoist seriously powers my life. The Premium service even has location based reminders (get to work, have a reminder to check the server, even if you’re later than normal). Use this link for two months of Premium for free. I jump between free and Premium but the link also gives me two months for free. This is my other must-have productivity tool. 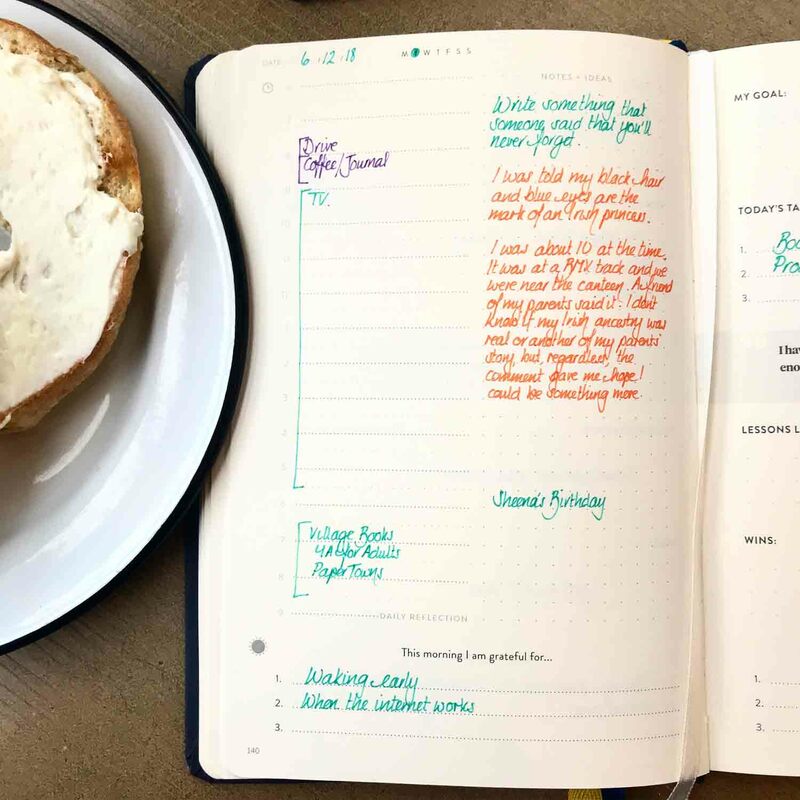 It’s a 13-week journal/planner that uses tech sprint methodologies to get your projects done. It lays out a template for your project plan. I love the daily and weekly reflections on how I went on my 13-week project, and what I’m thankful for. 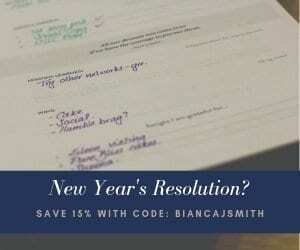 Recently they made me an ambassador and you can use the code BiancaJSmith for 15% off your purchase. I recommend starting with just one journal to see if it works for you before buying in bulk or subscribing. I’ve used a few hosting companies over the years and just switched back to SiteGround. The speed is great and their service is much improved. No war, just awesome social sharing, especially Pinterest. Seriously, click the Pinterest share button on any post and you’ll see a big formatted image that’s not on the page. Social Warfare hides it in the backend so the page looks pretty. OK, so Grammarly isn’t the perfect editor, but there isn’t one. This is the best and cheapest. Check out their free option. I use the paid, but the free one is equally useful. This is the plugin that makes the book reviews page formatted beautifully. It also pulls in the details on each book review, and as a bonus (this plugin only costs $35), it also powers the Instagram feed widget. I’m not an affiliate yet; I just love the plugin. Tailwind is why I now treat Pinterest as something valid. It took a lot of “get” Pinterest and I didn’t understand it until I started using Tailwind. I love their 400 pins free trial because I’m horrible with 30-day trials. Their paid account is great for scheduling pins, but the new free Tribes feature is magic. This link gives you (and me) a $15 credit; that’s a month free or a little more on an annual plan.